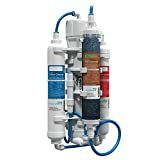 Reverse Osmosis systems are a great way of purifying water – but the end result of RO water is almost distilled water – and a lot of the natural salts and minerals found in water are no longer present. As a result, some people like to remineralize their water after it has gone through reverse osmosis. First off, a disclaimer: You don’t NEED to remineralize water, but you may wish to do so. Your body gets most of the vitamins and minerals it needs from food rather than water. A study done by the WHO found that demineralized water should be treated with magnesium and calcium. 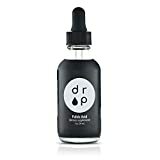 However, it’s important to note that drinking demineralized water does not necessarily mean you’ll end up with a nutrient deficiency – you should already be getting your minerals from food. If you’re relying on water to provide you with calcium and magnesium, you need to change your diet. Aside from magnesium and calcium, no other minerals are absorbed in meaningful quantities from water by our bodies. Again, I’d like to reiterate that the best way to get magnesium and calcium is by eating fruits and vegetables – you should not be relying on water for nutrients! Many RO systems ship with an alkalization stage in them. If your unit does not have one, you can easily add one. Basically this is a filter-like attachment which contains minerals(look for a good quality filter that has food-grade minerals). As the water passes over the minerals, they get dissolved back into the water. This stage is added after the RO stage. The temperature of the water and the pH of the water before it enters the alkalization stage will determine how many minerals are added back into the water. 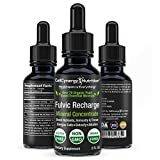 Electrolyte blends(also known as trace mineral drops) are compositions of minerals such as copper, selenium, iron, manganese, calcium, and magnesium that are easily available at most supermarkets. You simply mix the blends back into the water after it comes out of the RO filter. Blends will differ in composition from brand to brand. You can simply add some natural salt(like Himalayan salt or rock salt) to each gallon of RO filtered water. You only need to add a pinch. 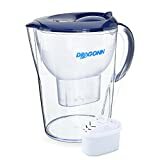 In an entire gallon, the taste won’t change significantly and it will still pretty much taste the same as drinking water. Don’t use table salt as that’s only sodium and chloride, which is not enough – the rock salt is natural and unprocessed. 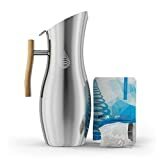 Use an alkalizing water filter pitcher to store your water and that will automatically add minerals back into your water. They’re a bit more expensive than using mineral rich salts or electrolyte blends, but they’ll also last longer. 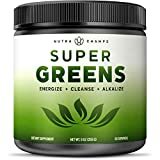 Greens blends are extracted minerals from vegetables and plants. 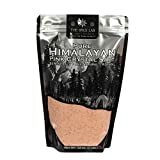 These are a very wide range of balanced minerals that are really good for you but the downside is that they’re quite expensive since they have to be made from the vegetables themselves. They’ll also make the water taste a bit different than what you’re used to, so you may not actually like it! They’re not a good choice for long term use especially if you are on a budget, but we’ve just included this method in the post for the sake of being thorough. 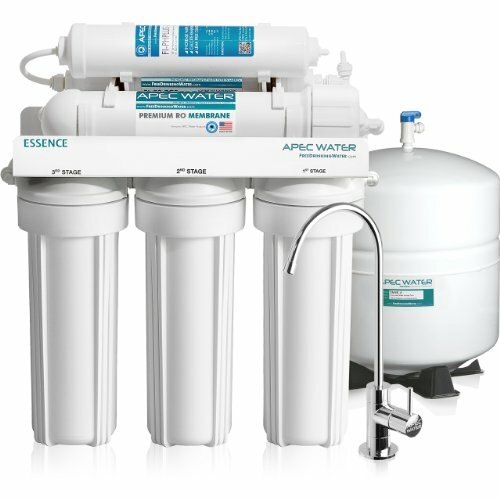 RO water is not bad for you – in fact, in some places, it’s extremely vital to use an RO filter otherwise you may be susceptible to water-borne diseases. 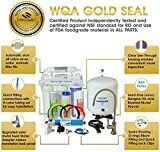 In my home country of India, for example, most homes are fitted with RO systems in the kitchen and all drinking water comes from the RO filter or bought in bottles. There’s no other way, unfortunately. As I mentioned in the beginning of the article, it is not absolutely necessary to remineralize RO water. In fact, the main driving reason behind wanting to remineralize water should be to improve the taste more than anything else. 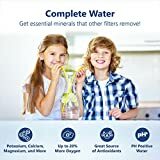 Whether there are any solid health benefits to drinking alkaline or mineralized water is still subject to debate in the scientific community. If you want to see the difference in taste between RO water and mineral water, buy a bottle of Dasani and Aquafina water. Both are processed in RO plants, but Dasani water has some mineral content added back into it. Aquafina does not.